Our highly trained PAT testers serve London, Surrey and the South-East, and will complete your PAT test quickly and efficiently, in or out of working hours. Most working environments need a regular PAT test for at least their highest risk electrical items (you can read more about this in our blog article ‘Pat Testing Explained’). 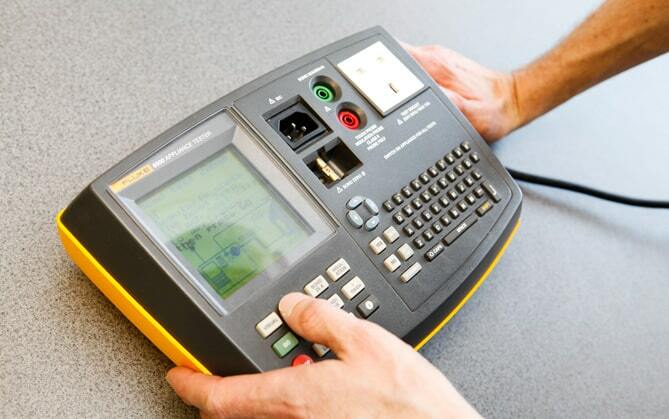 Because we don’t expect everyone to be a PAT expert, our PAT test team is highly trained. They can advise on your business requirements and tell you whether items need a full PAT test, or just a visual inspection. If your premises are large or complex, we can also arrange a free survey before sending you a quote. Our rates are competitive and we are usually able to arrange a visit from one of our PAT testers the same week. Our team will only carry out PAT tests and visual inspections on the items that actually need them, and we use the latest equipment so we can carry out tests quickly and label items clearly. This means we not only complete your PAT test in as short a time as possible, we also keep your costs down. We leave your report with you at the end of the test too. 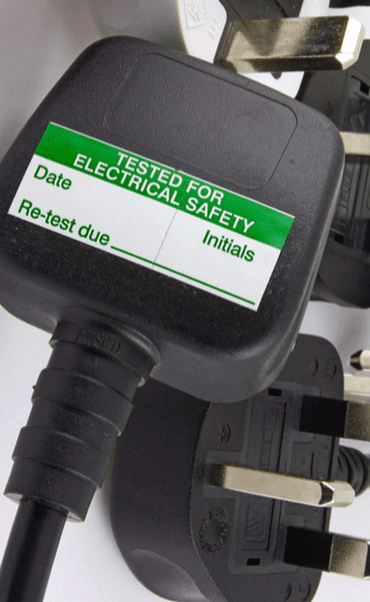 There’s often confusion around which electrical items need to be PAT tested and how often. The answer is – it depends! It can be complex trying to work out exactly what needs to be done, which is why our team offers a complete advisory service, giving you confidence that you are up to date and within the law. To book your PAT test or to arrange a free survey, please get in touch with our friendly team on 0845 845 3001, or email them on info@surreyfire.co.uk. They will be happy to help.